Courtesy of Adrienne F Deming, TTR Sotheby’s International Realty. GRAND HOME, LOT & STREET!!! Splendid spaces flooded with light in this 4-5 BR, 3.5 BA home remodeled & updated to reflect the openness desired by today’s discerning buyers. The arboretum-like lot is picture perfect with natural plantings and walkways that beckon you to linger for a moment. 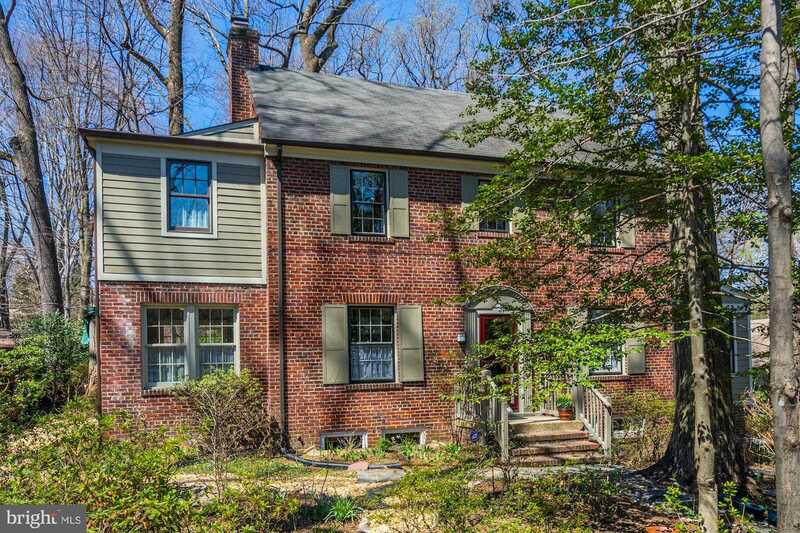 The stunning covered patio is glorious and the views from the second story deck enchanting.. A significant urban retreat just steps to METRO & Takoma Park Town Center! This is IT! !